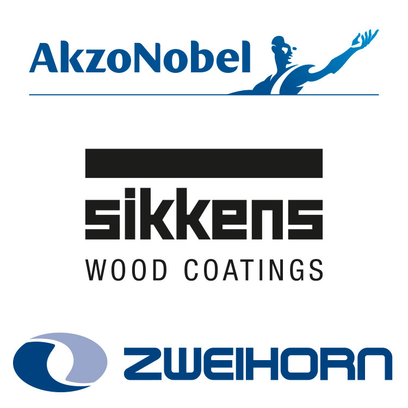 AkzoNobel’s Sikkens Wood Coatings brand aims to set a new standard in workmanship and surface protection with three new top coats for coating applications. The wood coatings CETOL WF 960, CETOL WF 965 and CETOL WF 945 are celebrating their premiere at LIGNA 2017. Sikkens Wood Coatings has very neatly summed up the improvements that CETOL provides in four different areas – even more beautiful, easier to process, safer and more resilient! A high level of transparency and a pleasant feel help to emphasize the natural qualities of the wood and bring out the beauty of the material exquisitely. What’s more, perfect flow characteristics, minimal microfoam formation, excellent blocking resistance and optimum sandability all ensure that CETOL is an ideal coating to work with. The coatings dry very quickly to form an effective water- and rain-resistant finish, which reduces the risk of water marks and other surface defects. Moreover, improved resistance to UV rays, hail and temperature fluctuations ensures the kind of durability and resilience that will give high-quality wood products a long life.